Let us help you transport your guests to an experience they won’t ever forget. 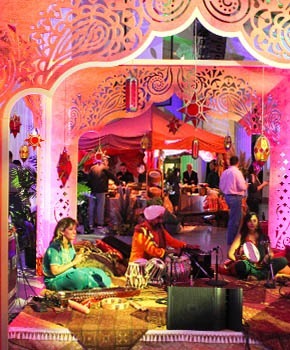 Organizing a successful special event or production from start to finish is no easy task. We are here to think of every single thought that goes into the event creation. We help with coordinating and developing your experience and vision, to budgeting, to providing floral, sound, lighting, staging and video, all the way to tear-down. Our talented Design Team envisions and guides each aspect of your project, whether you are designing an on-trend gala or creating visual metaphors that deliver the heart, soul and style of your event. From first sketch to the last truck, no detail is left unaddressed. We take care of it all so you don’t have to.